Three years after Spain’s conservative government drastically watered down its universal jurisdiction laws, a Spanish court has revived an investigation into Rwandan military officials accused of committing terrorism against Spanish citizens. The decision by three judges on Spain’s national court was issued on June 29, 2017, and will be sent to investigating magistrate Fernando Andreu Merelles for approval, said Jordi Palou Loverdos, a lawyer for families of Spanish victims, in an interview. In 2008, Judge Andreu gained international acclaim when he indicted 40 military officials of the ruling Rwandan Patriotic Front (RPF) on charges of genocide, crimes against humanity, and terrorism dating from the 1990s. The case initially stemmed from the murder of nine Spanish citizens in Rwanda and neighboring Democratic Republic of Congo, but widened in scope to prosecute RPF military officials for more serious war crimes against Rwandan and Congolese civilians. In 2014, in a bid to improve economic relations with China and the United States, the Spanish People’s Party eroded the country’s doctrine of universal jurisdiction, which had long sought to investigate crimes beyond its borders and hold abusive leaders accountable. The changes in legislation restricted the courts’ ability to prosecute atrocities committed abroad because they required that defendants be Spanish or be residing on Spanish territory. Human rights defenders slammed the legislation, and lawyers contested the amendments in constitutional court. Palou Loverdos said the national court’s decision to reopen the investigation into Rwandan military officials was made possible by two legal provisions: (1) the principle of “passive personality” which enables Spain to assert jurisdiction in cases when terrorism is committed against Spanish citizens abroad, and (2) the possibility of extraditing a leading suspect in the murders of the nine Spanish nationals. The decision will allow Judge Andreu to issue international arrest warrants against at least 22 RPF officials indicted in 2008 on charges of terrorism in relation to the murders of Spanish citizens, according to Palou Loverdos. While there is no new change in Spain’s laws, the decision is a new interpretation of universal jurisdiction, he explained. “This is a new interpretation of international and national law. This means that we still hope for justice. We began this case on behalf of Spanish citizens, then worked for Rwandan and Congolese victims as well. We are still on the same path,” Palou Loverdos said. The decision by Spain’s national court was issued after Palou Loverdos submitted a new request involving General Kayumba Nyamwasa, Rwanda’s former defense chief who was indicted by Spain for his leading role in ordering the killing of Spanish citizens. Nyamwasa fled to South Africa in 2010 after falling out with Kagame. In June, South Africa’s Supreme Court withdrew his refugee status and gave the South African government six months to reconsider his status. Nyamwasa has faced three attempts on his life while residing in South Africa, allegedly at the hands of Kagame’s operatives. The Spanish legal team faces major judicial hurdles. No government in Europe, North America, or Africa was willing to extradite any of the 40 Rwandans indicted in 2008 on war crimes. Kagame has benefited from widespread international support despite well-documented human rights abuses committed by his military intelligence apparatus for 27 years in Rwanda and two decades in neighboring Congo. He and his commanders have enjoyed de-facto immunity from prosecution at the International Criminal Tribunal for Rwanda and the International Criminal Court (ICC). Yet in a surprise move, Emmanuel Karenzi Karake, Kagame’s former spy chief, was arrested in London in June 2015 on the basis of a European Arrest Warrant issued by Spain. The Spanish indictment alleged that Karake worked with Nyamwasa in ordering the killing of three Spanish nationals for the NGO Doctors of the World and was ultimately responsible for the murder of Canadian Priest Guy Pinard in northwestern Rwanda in 1997. Defectors of Kagame’s Tutsi-led regime have testified to the court that Pinard and the Spanish citizens were targeted because they were aware of RPF killings of Hutu civilians at the time. Cherie Blair, the wife of Britain’s former Prime Minister Tony Blair, defended Karake against the charges. 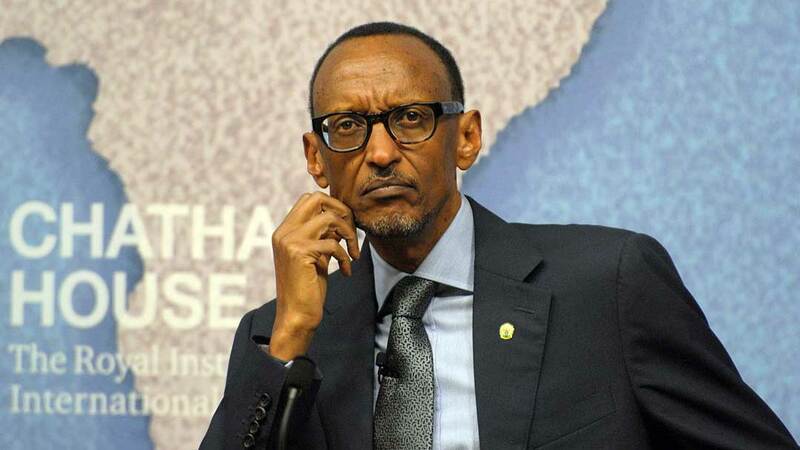 Two months later, a London court dismissed the case on a technicality and Karake returned home where he officially advises Kagame on defense and security policies.